Kings Arthur has appeared in many ancient legends and although his story has been embellished by many writers, we can be certain that the story of King Arthur is based on the life real charismatic military leader. So who might King Arthur have been? We can be certain King Arthur was not a medieval King with a council of knights in suits of armour and a big castle called Camelot that looks something like the North Wales castles built by English King Edward 1 (1272 -1307). We know very little historically but if we accept that he existed, then King Arthur was probably a 5th century warrior chief who protected his peoples from the Saxon invaders for a time. The battle of Camlan probably took place and is connected to King Arthur, but virually everything about King Arthur is conjecture. He could have come from Cornwall, Wales, Southern England, Northern England . Britain abounds with sites which have King Arthur connections. King Arthur was said to be the son of Uther Pendragon and Ygraine of Cornwall. 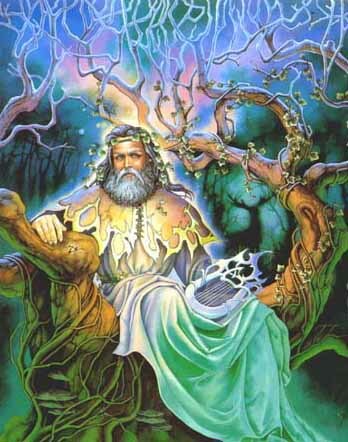 Arthur is a near mythic figure in Celtic stories such as Culhwch and Olwen. In early chronicles he is presented as a military leader, the dux bellorum suggesting a conncetion with the declining post Roman Britain of the time. In later romance he is a king and emperor. The Tudor monarchs traced their lineage to King Arthur and used that connection as a justification for their occupation of the English throne. 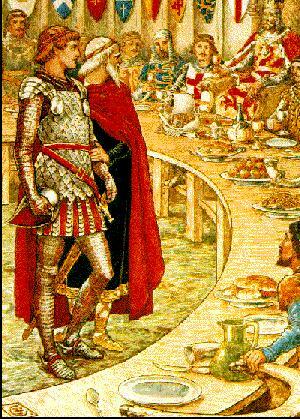 Irrespective of whether King Arthur was real or mythical, it cannot be denied that King Arthur has been a major influence on literature, from the early Middle Ages to the present day. And although if King Arthur had been a "real" king, he would have lived around the 5th or 6th centuries, it is more as a Middle Ages knight that he is presented in literature. other historical sources (Gildas’s De Excidio Britanniae of c.540AD, which mentions the battle but not Arthur). The main impetus for Arthurian stories starts with Geoffrey of Monmouth who records Arthur's birth, childhood, ascension to the throne, military conquests, and death. He places King Arthur as living from the late fifth century to 542, when the king was mortally wounded in his last battle. 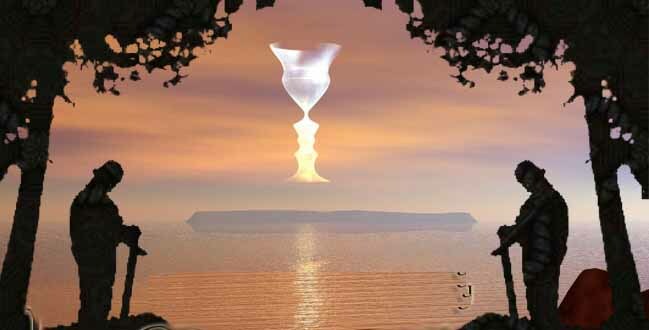 This story became the basis of the Arthurian legend, and was built on by Chrétien de Troyes and Sir Thomas Malory. are too vague to tie him down. But the main source of Arthurian myths did not come from British English writings. Rather from French authors living in Brittany about 300 years before Malory's epic Arthurian tale was published. They might well have based their tales on stories told by English Crusaders in the 11th century, but they undoubtedly embroidered these stories themselves. These early romantic novelists gave us most of the myths that was later further embroidered by Malory and Tennyson. So really King Arthur, the 'King of the Britons' was in probably a French invention, as are so many of the details of the legend that come from these early French writers. Lancelot, his affair with Guinevere, Excalibur, Camelot, the Round Table, Sir Perceval all originate with these French writers. Arthur goes on to invade France, defeats the Roman armies and almost conquers the remnants of the Roman empire. It seems that there was a war leader, whose name we do not know, who defeated the Saxons, checking their advance temporarily. As time went by people remembered this leader fondly, the good old days and a touch of "Oh, if only ... was our leader now". Eventually the name Arthur stuck as his name in folk memory, and his ascribed deeds grew long after his death - King Arthur arrives, the once and future king.